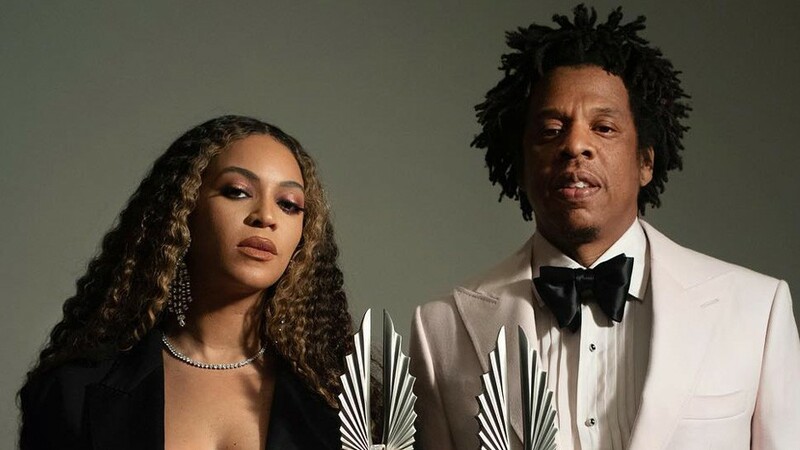 The GLAAD Media Awards recognized Beyoncé Giselle Knowles-Carter and her husband Sean “Jay-Z” Carter with a Vanguard Award last Thursday night in recognition of their allyship with the LGBTQ community. GLAAD recognized Beyoncé’s speaking out against North Carolina’s discriminatory House Bill 2, her support and celebration of the passage of marriage equality, as well as her inclusion of LGBTQ people in her work. Jay-Z was also recognized for his inclusion of LGBTQ people in his work, most notably trans woman Janet Mock, who presented the award to the Hollywood power couple. Jay-Z also received a Special Recognition Award last year for “Smile.” The song and music video was where his mother, Gloria Carter, came out as a lesbian. Mock praised Beyoncé’s evolution as “an artist, an icon, a mother, and a feminist, a public Black woman,” saying it inspired her own journey as a trans woman and offered her a “blueprint” to follow. Lena Waithe also spoke before Beyoncé took the stage, thanking her for having LGBTQ people as part of her team. “Not only does she support the queer community, but she keeps us employed: choreographers, makeup artists, stylists. Thank you for not just being inspired by us. Thank you for including us on your team,” said Waithe. In her speech, Beyoncé praised her gay uncle, calling him “brave and unapologetic.” She also said that her uncle’s battle with HIV “was one of the most painful experiences” she’s ever had. Congrats and thank you to both artists! Thank you Beyoncé Jay-Z nice speech. I think that’s the award they give you when you’re past your prime. Finally….something really newsworthy and positive to hear about this power couple! Thanks for your support of us all. I will gladly do more to support you from now on. 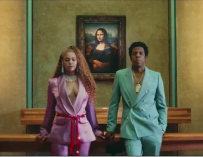 Just don’t let Beyonce’ go qweefing in the Louvre again. P.S. Did anyone else notice Wendy Williams is lookin a lot like Beyonce’ recently?